Above: The white compact of the Chanel Les Beiges is atypical of Chanel's expected black packaging...it is a delightful departure. I have been patiently waiting for the arrival of the Chanel Les Beiges since reading of its debut in Europe and Asia months ago...there is something about the pristine white compact, beige theme and versatility of a powder that confirmed my decision to buy this as soon as I could. Over the weekend, I was able to locate this collection and instantly snapped up #20, which is suitable for NC 20-30 skin tones. While many shade options (there are seven...#10, #20, #30, #40, #50, #60 and #70) in this collection are intended to create contour and a healthy glow (not quite bronzer but certainly darker than one's natural skin tone) this particular shade can be used as a subtle highlighter, setting powder and touchup powder for light beige skin. Above: The Les Beiges powder contains both chemical and physical sunscreen. Above: The compact includes a moon shaped brush. Retailing for $57.50, this compact has a generous mirror and two layers of sorts. The top tray-like layer (which must be removed to access the powder) houses a moon shaped brush that had surprisingly soft bristles, especially for one that is included with the compact (rather than purchased separately). This brush is useful for quick touchups, although I prefer my Hourglass Retractable Foundation Brush for more precise application. Beneath the removable separator is the powder itself, which generously resides in the pan. Above: Chanel Les Beiges #20. The powder is creamy and subtly fragranced with an aroma that vaguely reminds me of peaches and a creamy floral essence. I am not typically one for scented products, but this fragrance actually agrees with my nose and lifts my spirits...it also dissipates rather quickly and hasn't irritated my sensitive skin whatsoever. 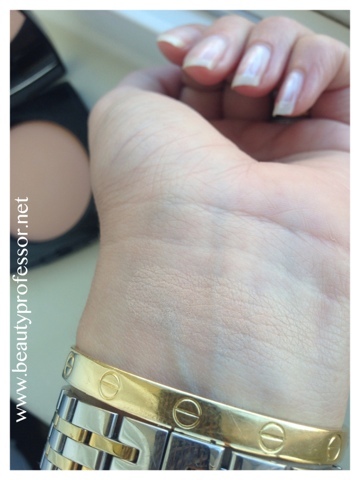 Above: A swatch of Chanel Les Beiges #20 in natural daylight. I prefer to apply this as a setting powder and then use it as a touch up powder throughout the day...it evens my skin tone, is not the least bit cakey and somehow adds a subtle radiance that is an anomaly for most pressed powders. 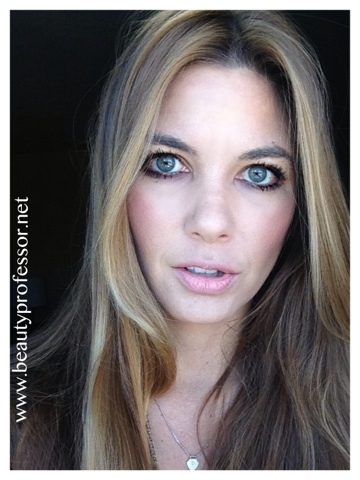 It neither oxidizes on my NC 25 skin nor does it settle into fine lines. In terms of opacity, this powder is sheer but buildable and the opacity it yields with a few strokes of the brush is utterly perfect for a setting/touch up powder! 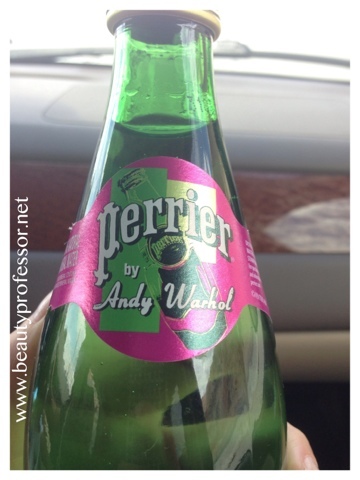 Above: I got distracted by this darling bottle of Perrier: Andy Warhol edition. I already adore sparkling water but this label takes it to an entirely different level, no?! 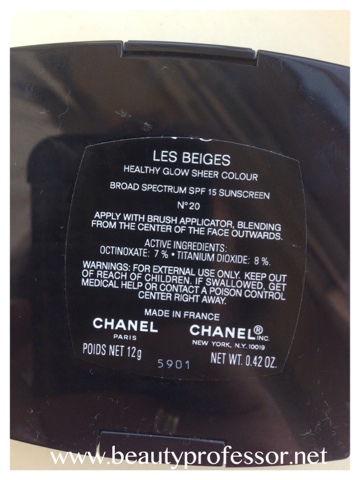 Bottom Line: Despite the initial hype that made me a bit skeptical, I can honestly say that the Chanel Les Beiges powder has exceeded my expectations. 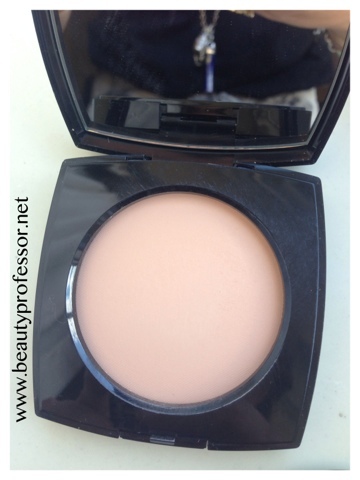 It is creamy, buildable, has SPF, doesn't get cakey and refines the skin in a lovely way. I am beyond pleased to have found a setting/touch up match in #20 and highly recommend it for these purposes! I bought mine at the Chanel counter at Neiman Marcus (though, as of publish date, it is not on their website yet) and believe it will become available at other traditional Chanel retailers over the month of August. 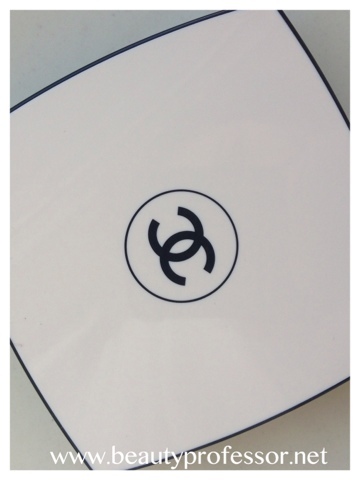 Will YOU be trying the Chanel Les Beiges powder? Thoughts?! Hello Anna...#40 is next on my list...it is a lovely light burnished tan, no?! I am sure it looks lovely on you and I think you'll love #20 for the winter! I'm so glad you finally managed to get your hands on it, it looks gorgeous on you. I'm still awaiting the arrival of the cream blushes, which hit counters on the 16th, I believe. Thank you so much, Alexandra!! I absolutely love it...I hope you get the cream blushes soon. What shades are you eying? Thank you so much...for a powder, I agree it is a rare shade indeed! You describe it well ; ) I hope you get a chance to get it as I am sure it will look gorgeous on you...it really pairs well with the Kanebo foundation! I hope your week has been lovely...xoxo and talk soon! Hello again, just to clarify, I did'nt put any chanel les beige on my face because I thought: well, it's ok. nice feeling but not much color. However seeing it on u & how it warms u up, beautiful! See, this is why I love your blog & learn so much! Hope your trip is wonderful. Hi Jethro! Oh my goodness...thank you!! 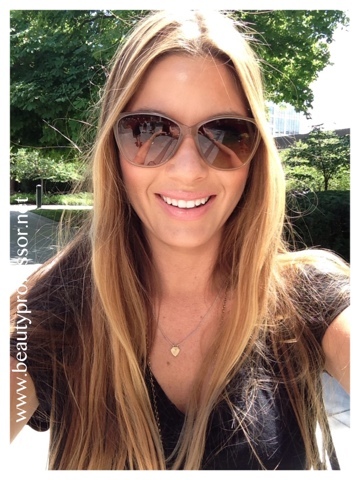 I recently bought them at a Sunglass Hut Outlet we stumbled upon while on a road trip to Wyoming (more on that soon! )...they are Burberry and are so incredibly light on the face (most usually slide down my nose). 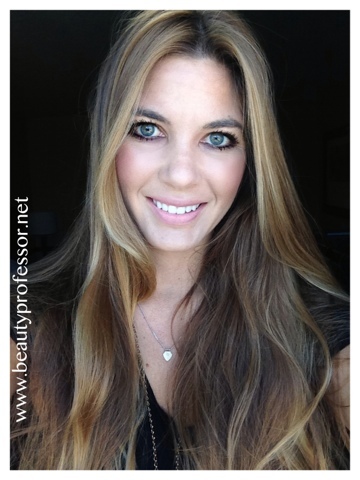 Aaahhh, another awesome review of this powder. I usually just use powder to set concealer. I will need to check it out in person before can peacefully splurge. Tempted! Does it make your foundation stay put better? Thanks, Joanne!! I have found that a light dusting of this completely helps my foundation's longevity...you must take a peek at it when you can! xoxo and do keep me posted! Your skin looks effortlessly radiant with les beige. I'm wondering are the new Hourglass powders similar? Do you prefer one over the other? By the way, I ended up purchasing the darkest and lightest chanel creme blushes. The pigmentation and texture are such that they both work brilliantly on my light to medium Asian skintone, infinitely adjustable. Thanks for staying on top of all the new releases and little known gems as well. Thank you ever so much! I have found that the Hourglass in Diffused light only works for my lighter (closer to NC 20) winter skin and I can only get away with Dim in the summer when I am darker. 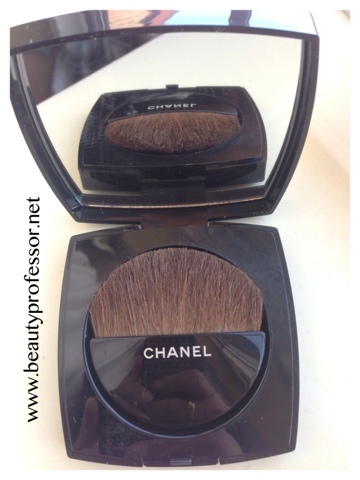 The Chanel #20, I suspect, will work year round because it is simply a light beige...I don't feel like it has as many light-reflecting properties as the Hourglass but somehow it refines and is slightly glow (though still offers mattification) nonetheless!! I am so happy that you were able to get the cream blushes...the lightest and darkest are my absolutely favorites as well and I am sure they look lovely on you!